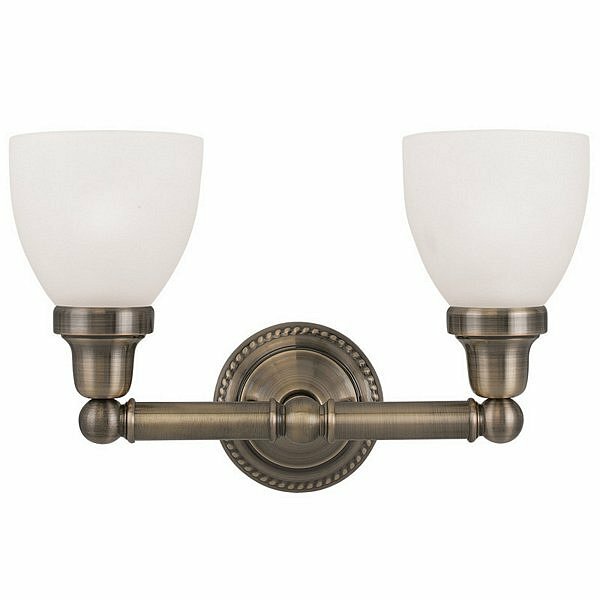 Livex 1022-01 - In a antique brass finish, this two light bath fixture features a timeless torchiere design. Topped with Satin Opal White glass shades providing a clean and classic look that will complete any space. Perfect finishing touch when arranged alone or in pairs.